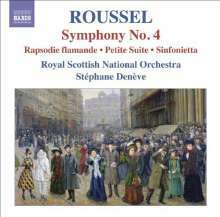 Der Artikel Albert Roussel (1869-1937): Symphonie Nr.4 wurde in den Warenkorb gelegt. 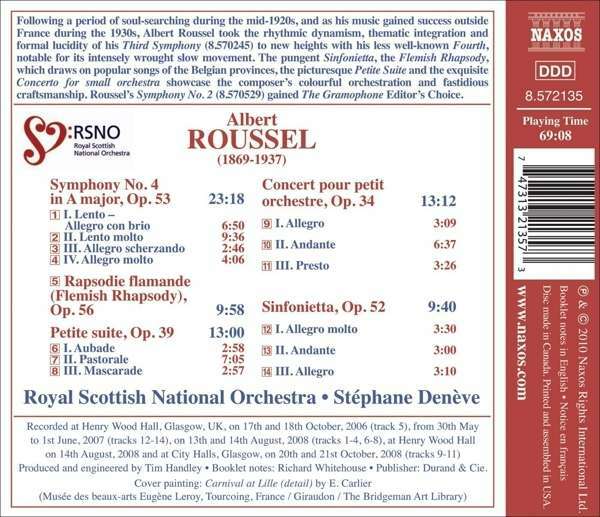 Following a period of soul-searching during the mid-1920s, and as his music gained success outside France during the 1930s, Albert Roussel took the rhythmic dynamism, thematic integration and formal lucidity of his Third Symphony (8.570245) to new heights with his less well-known Fourth, notable for its intensely wrought slow movement. The pungent Sinfonietta, the Flemish Rhapsody, which draws on popular songs of the Belgian provinces, the picturesque Petite Suite and the exquisite Concerto for small orchestra showcase the composer's colourful orchestration and fastidious craftsmanship. Roussel's Symphony No. 2 (8.570529) gained The Gramophone Editor's Choice. Symphonie Nr.1 "Le Poeme de la Foret"